The Golden Rule of Product Management is ‘under-promise and over-deliver’ (otherwise known as ‘managing expectations’). If anyone needs a case study on how NOT to release a new app upgrade, SoundCloud is proving to be a rich source of material…..
Last week, SoundCloud broke the Golden Rule by releasing a new version of its iOS phone app before it was finished. It did so without telling its customers in advance – not even the paying subscribers. Only after a considerable backlash on Twitter and Facebook (and a growing number of 1-star ratings in the iTunes Store) did the company start addressing customer complaints, via a rather anodyne blog. Based upon user comments, this response has failed to placate subscribers. 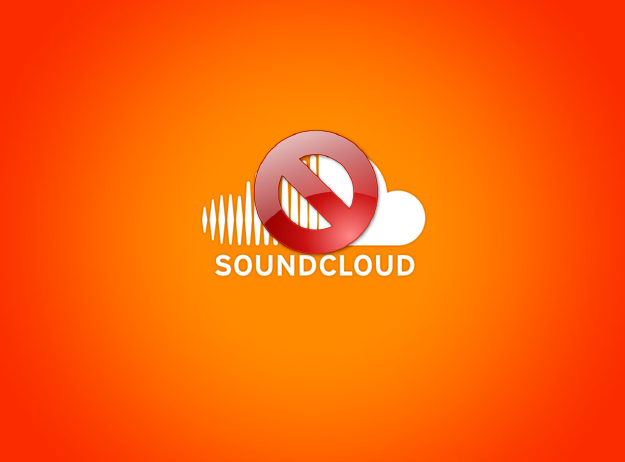 While SoundCloud admitted that the shiny new release was not the final product, it was unable to give any indication when the rollout will be completed. content curated by users (via re-posts, playlists and social media interaction). music, mixtapes, podcasts, radio programmes and spoken word contributions. likes, feedback comments, and data on the number of plays, likes, downloads, followers and re-posts. Many content creators are Pro Users, who pay upwards of $70 a year for the privilege. In return, they get a platform for hosting and distributing their content, and access to a global community of listeners. However, unlike other music streaming services such as Spotify and Pandora, SoundCloud does not charge listeners (yet), nor does it carry 3rd party advertising or sponsored content (yet). Although SoundCloud has been highly successful (thereby contributing to the decline of MySpace? ), it faces a range of competitors – from Twitter Music and Bandcamp to Mixcloud and 8tracks (as well as the aforementioned subscription streaming services). From the start, SoundCloud has done a couple of things really well (in addition to the widgets for embedding sound files in 3rd party websites, and a few other technical tools): first, it has made it easier to discover new music; and second, it has enabled thousands of independent and unknown musicians to get some public exposure. The mobile app has now seriously compromised both of these features, because a lot of the existing functionality has been removed or suppressed pending the ‘full’ release (admittedly, these functions are still supported on the desktop version). In short, the new app release has created the impression that SoundCloud is focussing on listeners (rather than content creators) and plans to make it much easier for major labels to connect with consumers, thereby squeezing out the independent musicians, producers and labels who have helped to make SoundCloud successful in the first place. *FOOTNOTE: Declaration of interest – I maintain a Pro User subscription to SoundCloud under my nom de musique. About a year ago, I posted a blog on “Steam Internet” which included some ideas about the importance of radio as a communications platform – even in the age of social media. Among the individual responses I received, a former colleague recalled how he grew up with radio, and how it was a significant presence in his life as a source of news and entertainment – it kept him company while revising for exams, and allowed him to “share” songs with this friends (via personalised mixtapes). He commented that a pharmaceutical company in Indonesia uses radio as a mainstream outreach channel – because it is relatively cheap, it offers targeted demographics, and it provides access to a large-scale, mass market. Consumer interest in and demand for audio content is recognised by today’s media industry – hence the growth of podcasting, audio platforms like SoundCloud, streaming services such as Spotify and Pandora, and radio apps like TuneIn – not to mention the growth in Internet radio, digital stations and web-streaming broadcasts. Radio is also very local (despite global access/reach via apps like SoundCloud Radio) and is usually subject to broadcast regulation. I’ve been involved with a community radio station over the past 3 years, and it has made me aware that audience diversity can be a challenge for broadcasters (how to cater for smaller, minority audiences? ), but at the same time many people feel unconnected to mainstream media, such that radio is actually their preferred platform to engage with the world. Acknowledgment My thanks to Rudy J. Rahardjo for his input to this article.